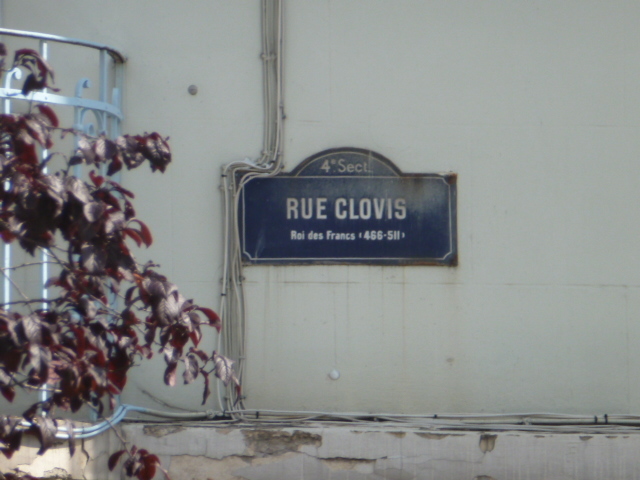 On our trip to Metz, France this weekend, as we were leaving the city, the GPS pointed out that we needed to take a right on Rue Clovis (Clovis Street). Not only does Norm know me well enough to know that I love, love, love Clovis, but – even if Clovis doesn’t make Norm’s hit parade – Norm cares that I love Clovis. Then, he slowed down so that I could take a picture of the street sign. Without complaining.